HomeWebsiteHow to setup sub domain for a new blogger site of new blogspot account. At first I want to say you, what is sub domain. Now see a example for understand about sub domain. 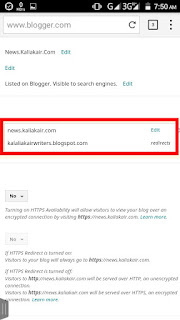 Think that "www.kaliakair.com" is main domain, and now if we create "news.kaliakair.com" domain, then here "news" is the sub name and "news.kaliakair.com" is the sub domain of "www.kaliakair.com". Now I will show you, how to setup sub domain for a new blogger site of new blogspot account. 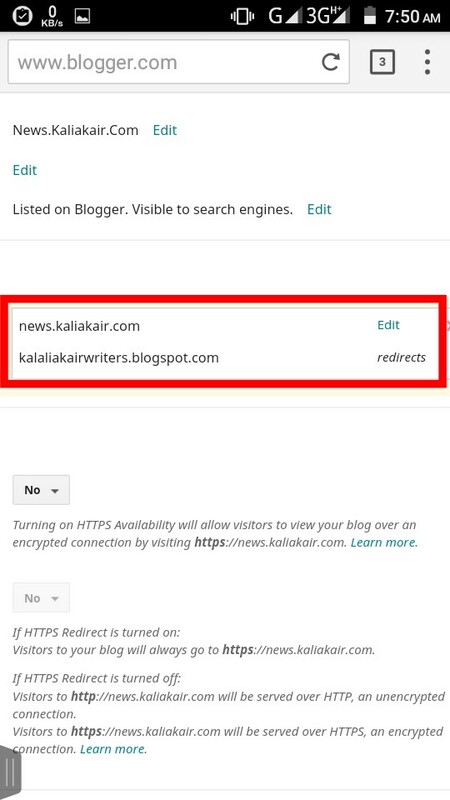 First sing in your new blogspot account and go to your web site, then select "setting→basic → blog address" options. now click "setup a 3rd party url for your blog" and click save button, then you will see a error message like this picture. this picture, I marking 4 code. NOTE : Your code and my code is not same. Now go to your domain panel "DNS management" Option and copy paste your code step by step like this. 1. copy the small code, look like this code (gbw2to2y22gm). and paste it for "name or host or label" option of your domain panel DNS record menu. 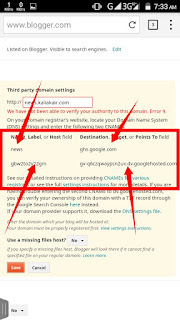 2. copy the big code, look like this code(gv-q6czqwaypsn2ux.dv.googlehosted.com). and paste it for "CNAME record" option of your domain panel DNS record menu. and first time save it in your DNS menu. 3. Then copy "news"(your sub domain name) and paste it for "host" option of your domain panel DNS record menu. 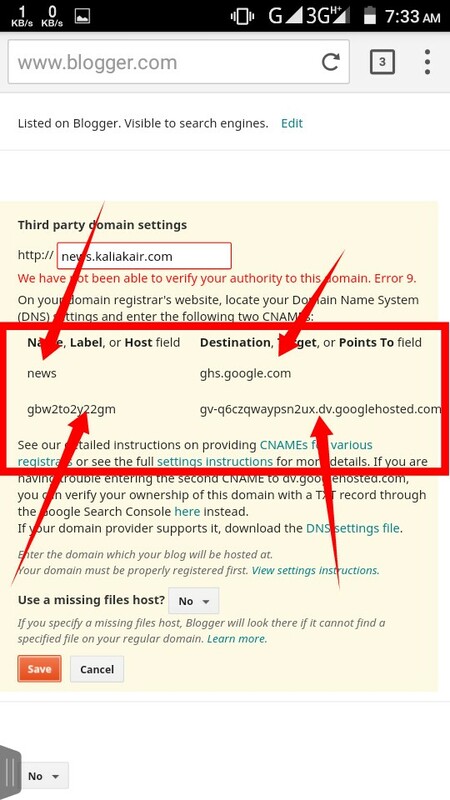 4.Then copy "ghs.gooogle.com" and paste it for "CNAME record" option of your domain panel DNS record menu. and second time save it in your DNS menu. Now Go to Your blog and save your sub domain & and it will be work. Now all is done and wait for some time then see your sub domain is working. for any question, just contact us. support@kaliakair.com.